It’s likely anyone with the slightest interest in role-playing games (RPGs for short) has heard of Cyberpunk 2077 by now. This is an upcoming game by Polish outfit CD Projekt Red, the people behind the all-conquering Witcher 3: Wild Hunt video game, which found its way to fame (and gamers’ hard drives) back in 2015. Not a lot is known about Cyberpunk 2077 at this point in time though – aside from its sci-fi, cyberpunk theme and some screenshots and videos which have made their way online, we still don’t know whether Cyberpunk 2077 will end up being a masterpiece like The Witcher 3, or a failed attempt at making a sci-fi game by CD Projekt. Also, recent news do suggest that CD Projekt’s sci-fi adventure could be years away from release. But if one thing is clear, is that Cyberpunk 2077 will be big, whatever year it launches in. Also, recent rumours suggest one top celebrity could appear in the game. This is none other than Lady Gaga, the iconic singer and world-famous celebrity who according to rumours recently stopped by CD Projekt’s offices for a motion capture session. As reported on French publication Actugaming (via VG247), it seems Lady Gaga might have been doing business with CD Projekt recently. Lady Gaga might feature in CD Projekt’s upcoming Cyberpunk 2077 game. Further corroborating this is the fact that CD Projekt responded to one of the Lady’s tweets in September last year, meaning it’s likely both parties are up to something here. So, what role could Lady Gaga be playing in Cyberpunk 2077? If she’s been doing motion capture work as has been claimed recently, maybe she’s lending her likeness to one of the game’s characters. But given the celebrity’s talent for music, it is also likely Lady Gaga is helping with the game’s soundtrack too. 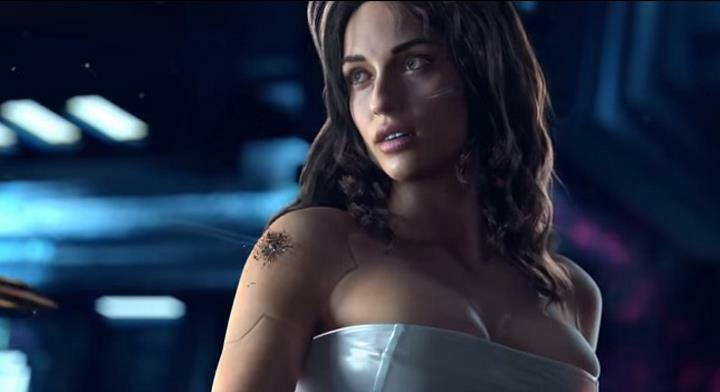 Of course, CD Projekt might have also hired the world-famous celebrity in order to give the game’s marketing a boost – her presence in Cyberpunk 2077 ads would surely have an impact. This is all rumour and speculation for the time being though, and it may be that Lady Gaga is not truly involved with Cyberpunk 2077 after all. Either way, it would surely be great if Cyberpunk 2077 turned out to be another masterpiece like The Witcher 3 was when it launches sometime in the future.